In the world of luxury sedans, it is imperative to have choice. And choice is just what the 2017 Lexus GS offers. 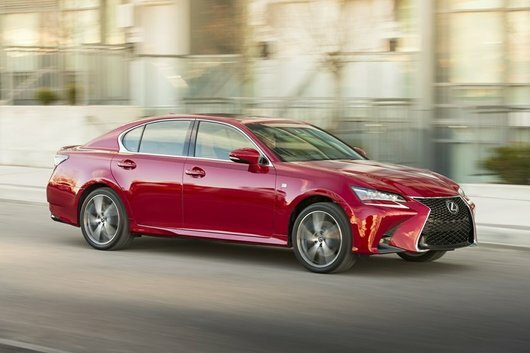 With a choice of two powerplants and many choices of packages and options, the Lexus GS will cover the needs of the most demanding luxury sedan customers. 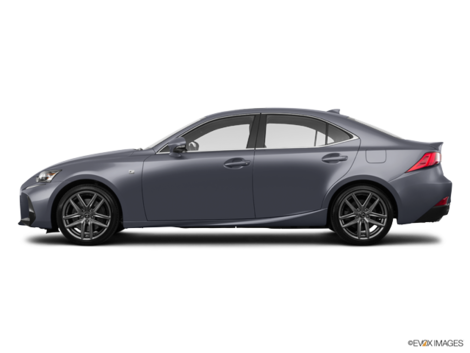 The 2017 Lexus GS is offered in two variants, the GS 350 AWD and the GS 450h. The 2017 Lexus GS 350 is powered by a 3.5L V6 delivering up to 311 horsepower. This engine is coupled to a six-speed automatic transmission with sport direct shift control and steering wheel-mounted paddle shifters. The power is channeled to the four wheels, thanks to the all-wheel-drive (AWD) system. The 2017 Lexus GS 450h is superbly equipped. 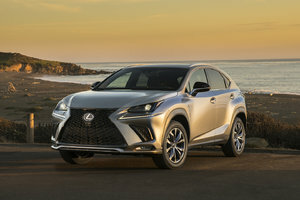 It is powered by the Lexus Hybrid Drive composed of a 3.5L Atkinson Cycle V6 and a high-torque electric motor. This duo is capable of sending 338 horsepower to the rear wheels. The efficiency of this package is impressive; it is rated at 7.5L / 100 km (city/highway combined). The 2017 Lexus GS features rigid body architecture and a state-of-the-art suspension system (front double wishbone, rear multi-link) along with the Vehicle Dynamics Integrated Management (VDIM) system seamlessly combined to deliver crisp, confident, tactile handling and vehicle dynamics. The Lexus GS sports a dynamic and aggressive body style with a wide stance. Its muscular front end features unique attributes with a bold spindle grille. Follow the aerodynamic body lines all the way to the rear to find a set of unique stylishly striking tail lamps. 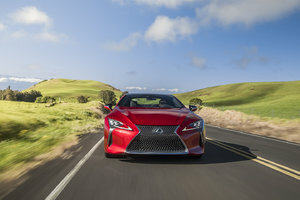 The GS 350 AWD may be outfitted with the F SPORT Series 2 package to add even more aggressive styling, like the F-SPORT wheels, front mesh grille, and rear spoiler. Standard features on the GS 450h include the Lexus Safety System+, Lane Keeping Assist, adaptive variable suspension, premium LED headlamps, LED clearance lamps and more. The interior of the 2017 Lexus GS is confortable and welcoming. Warm ambient LED lighting floods the cabin and blends perfectly with the rich wood trims, soft touch materials and other premium details to set a relaxing tone. Available features include a 12.3” LCD display, dual-zone automatic climate control, analogue clock with LED illumination, a power tilting/sliding moon roof, confortable leather seats, LED ambient lighting, map lamps and rear seat reading lamps, a heated steering wheel with leather wrap and paddle shifters and many more premium features, which makes this luxury sedan stand out from the competition. The 2017 Lexus GS is the best choice when it comes to performance, luxury, reliability and driving dynamics. The 350 AWD model starts at 57 900$ and the 450h starts at 76 100$. 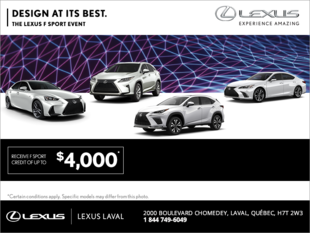 Come and check it out at Lexus Laval today!